Work is coming on apace at the Lower Royds project and we should be completing the project early in 2017. Jude and the team are doing a great job and it’s going to be a lovely home for our clients Dan and Clare. The open plan kitchen and sitting room in the original barn is going to be a particularly lovely space, with stunning views. Our ULTRA outward opening triple glazed timber windows and doors (the solid frame version with Uw value of 0.75 W/m2K) have been selected for the project with Compacfoam 200 insulation being used to minimise thermal bridging on the door thresholds. 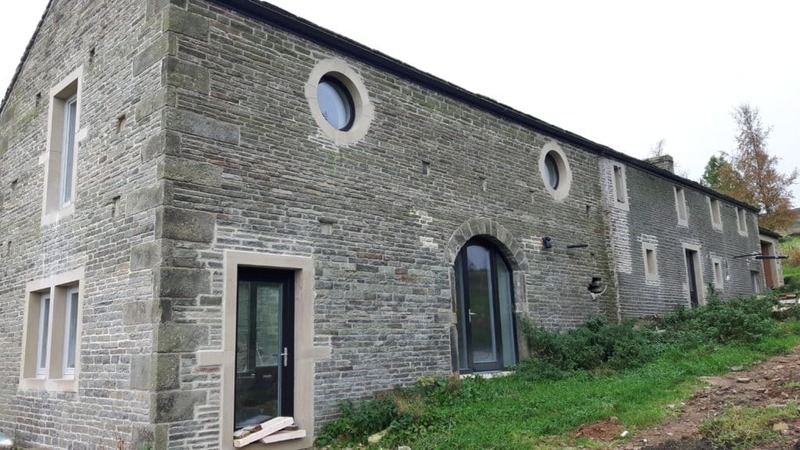 The Barn and old stone farmhouse had a lot of window and door openings, some of which we’ve blocked up and in some cases we’ve also created new openings, where the design required it. 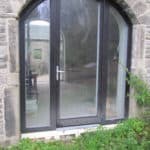 In some of the openings we’ve also had to add new stone surrounds to match the existing. 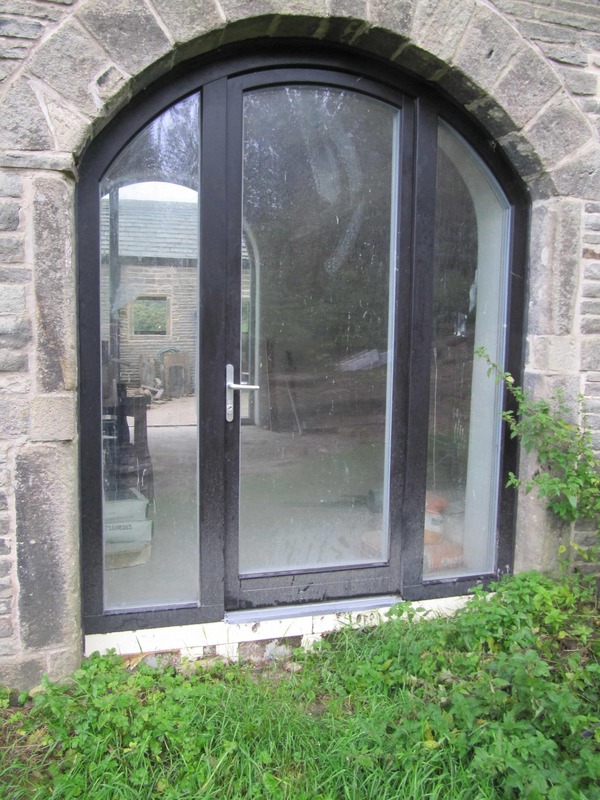 The stone lintels of the windows obviously create quite a significant thermal bridge unless the window reveals are insulated. 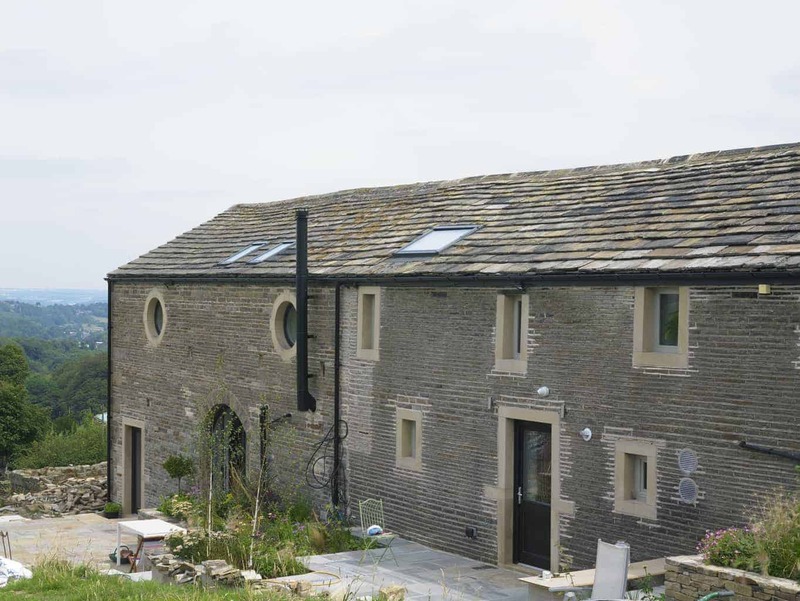 For this project, unlike Cumberworth, we had the space to add thicker insulation around the window reveals and so we’ve used the Diathonite insulation around the window reveals, which is helping reduce the thermal bridging at that point and also helps to create the ‘cottagey’ look. Airtightness tapes were also used extensively when installing the windows. 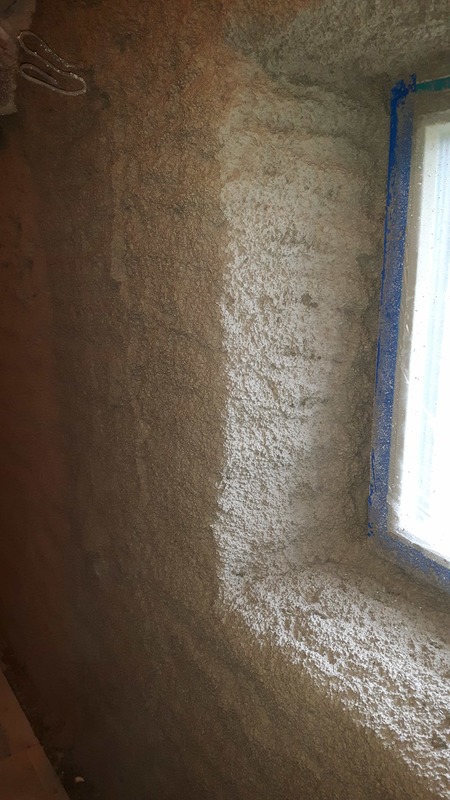 All the windows were taped to the parged wall, using Pro Clima Contega Solido SL, prior to the Diathonite being applied. Timber floor joists into external walls are a thermal bridge and, where IWI is used, there is also a risk of the joist ends getting damp and subsequently rotting. 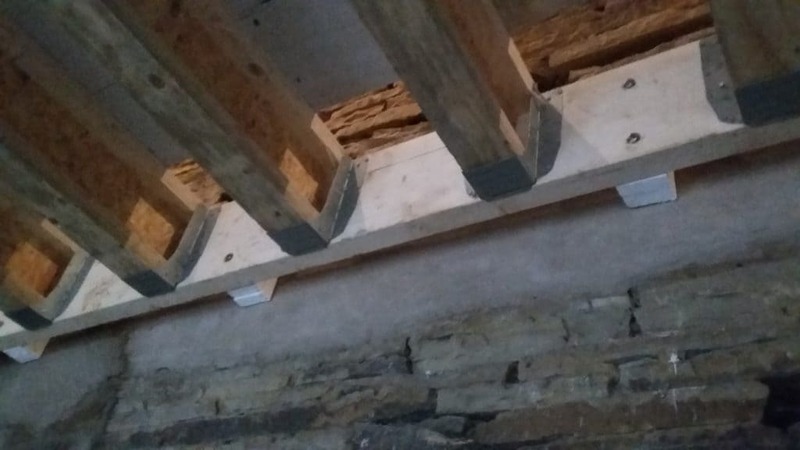 At the Lower Royds project we have isolated the timber joists so this does not happen, instead creating hangers and wall plates, similar to those used at Denby Dale, which are bolted through to the outside wall. The wall plate is held off the wall to allow continuous insulation behind the plate and through the first floor junction detail. 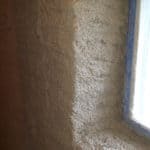 We used Compacfoam blocks in this detail immediately behind the wall plate, and filled in around it with the Diathonite insulation which will do a good job at reducing the thermal bridging at this detail. We’ve taken down the tractor shed completely and replaced it with a ‘mini Denby Dale/ Golcar Passivhaus’ garden room extension. 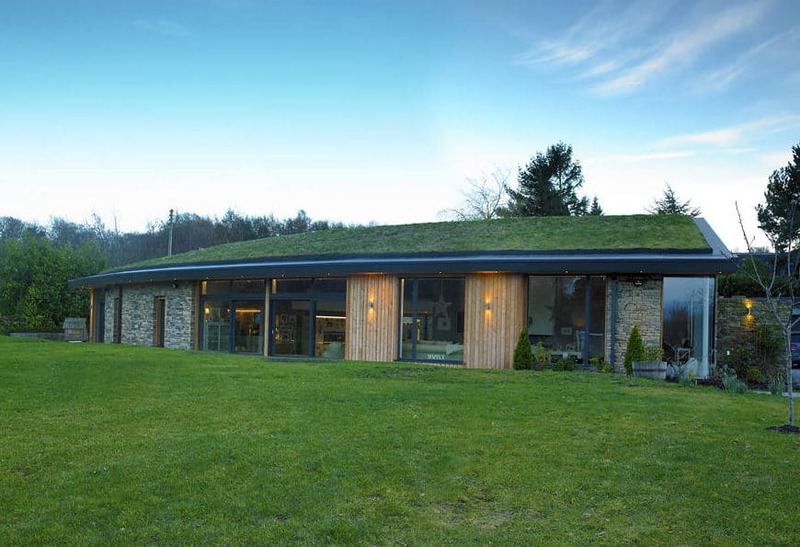 It is built with cavity wall construction and follows much of the detailing of our two newbuild Passivhaus projects at the floor to wall / wall to window and wall to roof junctions. 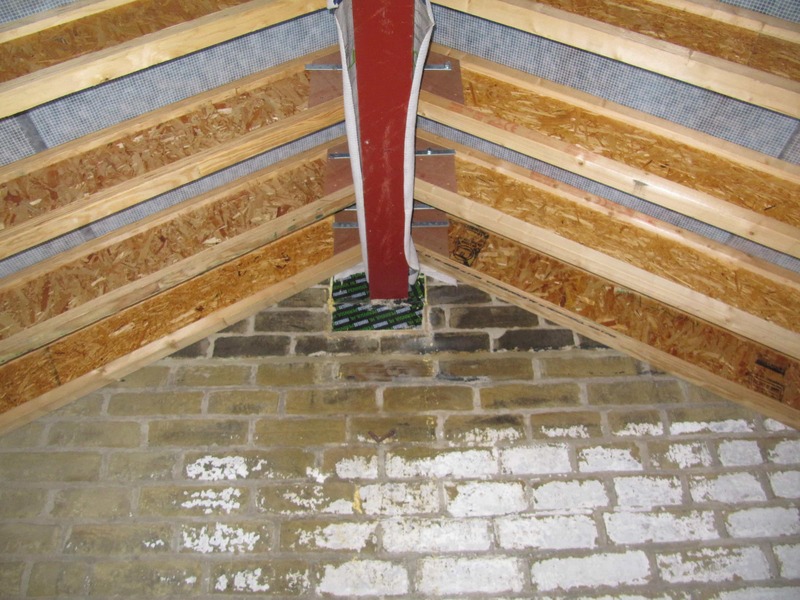 For the roof, it has a warm cathedral roof, based on the detailing used at the Golcar Passivhaus. One interesting detail in there is the way we’ve reduced thermal bridging around the steel ridge beam by installing FoamGlas all around it. In the next blog, we will look at the roof detailing and heating and ventilation strategy at the project. Hi Bill, how did you stop the bolts themselves of the wall plate becoming a thermal bridge into the wall, through the foam? Simple answer, no. We have to draw the line somewhere. There may be thermally broken bolts available, but would they be structurally strong enough – I don’t know? 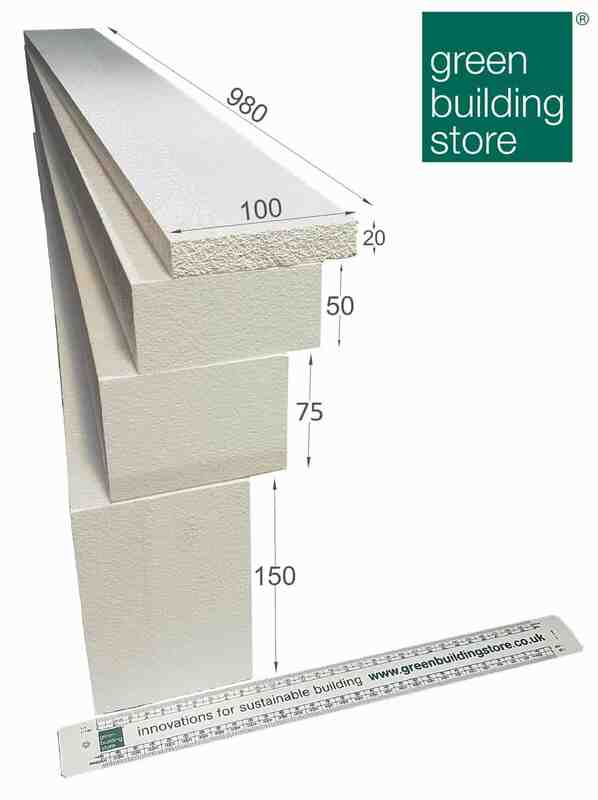 High specification range for ultra low energy and Passivhaus projects, at a competitive price.